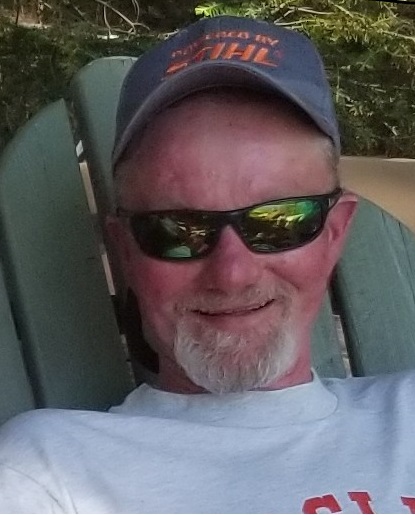 Of Waupaca, age 54, passed away peacefully on Tuesday, November 13, 2018 at home with his family. He was born in Norfolk, England on June 17, 1964 to William and Anna (Kearns) Barg. He married Barb Jorgensen on September 24, 1988, and they were blessed with two wonderful children. David worked at the Waupaca Foundry for over 30 years. He enjoyed camping, especially in Tomahawk, hunting and fishing. He was an avid Badger’s Fan. David especially enjoyed spending time with his family and friends. He will be sadly missed by his wife: Barb; children: Eric Barg and Jessica (Aaron) Vandiver all of Waupaca; father: Bill (special friend, Charlotte) Barg of Scandinavia; sister: Debbie Rankin of AZ; mother-in-law: Dorothy (Lane) Streck of Saxeville; sister-in-law: Nancy (Kevin) Johnson of Waupaca; nephews, other relatives and friends. He was preceded in death by his mother, Anna Barg. The Funeral Service will be on Tuesday, November 20, 2018 at 11 a.m. at the Maple Crest Funeral Home. The visitation will be on Monday at the funeral home from 4 until 7 p.m. and again on Tuesday from 10 a.m. until the time of the service. The family would like to thank Thedacare Hospice for all their compassion and everything they did for us.